My laptop takes a really long time to boot up, to open programs or to run applications. I think I may have a virus. I don't know how to check. There are no unsolved problems listed on our records for this laptop. To submit a problem or give a solution for an unsolved problem, please see the section below. Solution 1: This is a common problem with all laptops. It will happen sooner or later, depending on how you use your laptop. If you often use your laptop plugged into the mains, or you often unplug your laptop before it's fully charged, your battery will probably lose its charge a little more quickly. The upshot of this is - if you can find a replacement battery and you can replace it yourself, you can do. If you can't replace your laptop battery yourself (as is especially the case in very thin laptops), you can take it to be replaced by an official repairer or outlet, but it will cost you a lot and you might even be better off simply replacing the laptop. It sounds like your hard disk is failing. It will probably become unusable soon and you won't be able to recover anything (documents, photos etc) on that disk if you haven't backed them up. You MUST make a copy of your important stuff now before you do anything else. Once you have backed up everything you might be worried about losing, you can try to get to the root of the problem. Try a free hard disk checker like Aeo3 HD SMART Lite to see if there are any problems with your disk. Even if it says that there are no issues with the hard disk, it might still have a problem. If you have a damaged or failing hard disk, you should just replace it. You are unlikely to be able to fix it for less than the cost of a new one. Problem: My laptop takes a really long time to boot up, to open programs or to run applications. 1) Check for viruses. You can get plenty of free virus protection software, just Google "free virus protection" or something similar. If you're not using virus protection already I cannot stress strongly enough how important it is to get some. 2) Check free disk space. If your hard disk has anywhere under 20% free space, it takes much longer to do everything. It will not harm or damage your computer, it will just slow things down considerably. 3) Uninstall software you never use. Lots of programs start themselves when you start your computer even if you aren't using them. More programs running at the same time will slow your computer down. 4) Defragment your hard disk. If you have a normal hard disk (i.e. not a solid state disk) you need to defragment your disk regularly. Think of defragmenting as organising an untidy room - you can get things done more quickly if your computer doesn't have to search for them first. 5) Consider upgrading. If your computer isn't that old, you might consider upgrading your computer's memory or hard disk. Upgrading memory is fairly easy and usually gives your computer quite a speed boost. Upgrading your hard disk to a solid state disk will give your computer a massive speed boost in terms of booting up and launching applications, but it's a bit more complicated. Google them both. 6) Last resort - buy a new computer. If your computer is more than 5 years old and you have tried the steps above, you might want to just get a new one. My advice is not to get the cheapest one (you might end up having to replace it sooner than you want to) but don't buy more than you need. Simple advice - if you're going to spend a lot of money on a computer, Google some reviews of it before you buy it. Problem: I think I may have a virus. I don't know how to check. Solution 1: You need virus protection immediately. It used to be that certain computers and operating systems didn't particularly need virus software, but it's becoming more and more important every day and now I think every computer needs at least some sort of virus protection. Check Google for your options - there are some good ones out there. You will need some sort of virus software to check if you have a virus. If possible, disconnect your computer from the internet and your local network, and search for a solution using a different computer or device. Visit http://forums.malwarebytes.org and check a solution for your specific virus or malware. Ensure you have good virus protection for the future. All problems on this page have been submitted and answered by users. If you have a problem with the Compaq HP CQ58-278SA, please submit it below and we'll post it here. If you are having problems with an older (> 24 months) laptop, you may want to check the prices of newer laptops (use Google on the right) before you think about paying for repairs. 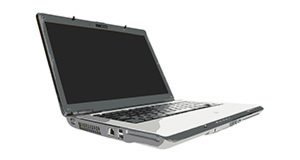 Many laptops do not allow you to upgrade or replace parts yourself, but many others do. It's not necessarily too difficult to replace memory, hard disks, batteries or certain other internal components. However, you are likely to void your warranty if you open up your laptop. Solutions suggested on this site are for informational purposes only; we accept no responsibility for any damage caused to your computer as a result of following the advice shown here. Macbook Air 1.3GHz 12 SSD 11"
Macbook Air 1.3GHz 12 SSD 13"
Macbook Air 1.3GHz 25 SSD 11"
Macbook Air 1.3GHz 25 SSD 13"
Macbook Air 1.7GHz 12 SSD 11"
Macbook Air 1.7GHz 6 SSD 11"
Macbook Air 1.8GHz 12 SSD 13"
Macbook Air 1.8GHz 25 SSD 13"
Macbook Pro Retina 2.3GHz 25 SSD 15"
Macbook Pro Retina 2.4GHz 25 SSD 15"
Macbook Pro Retina 2.5GHz 12 SSD 13"
Macbook Pro Retina 2.5GHz 25 SSD 13"
Macbook Pro Retina 2.6GHz 51 SSD 15"
Macbook Pro Retina 2.6GHz 25 SSD 13"